Featuring a combined elastic and tie waistband, our Basel 4 jersey lounge shorts also feature two front side pockets and a rear back pocket to keep your phone and essentials close while you're lounging. 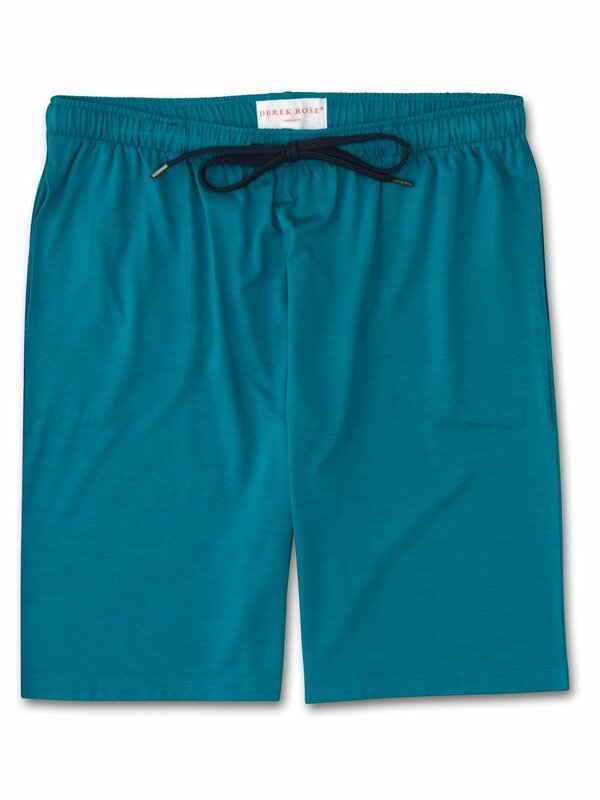 Both comfortable and flattering, we've elevated this loungewear short into a luxury essential for the modern man. Made from a unique blend of micro modal stretch, our specially developed Basel 4 fabric is ultra-soft and doesn't pill, making it able to withstand countless days of lounging, numerous sessions at the gym and even a duvet day (or two). Wash after wash the rich teal maintains its colour and the shape returns to it's original design, even if stretched with wear overnight.